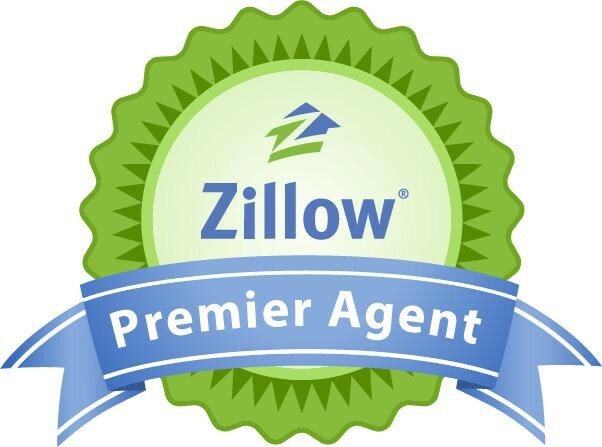 As a Zillow Premier Agent, my sellers benefit from a strong presence on Zillow. This is essential to getting the most offers for your home. As a Zillow Premier Agent, I will attract 3 times the buyers to your listing. 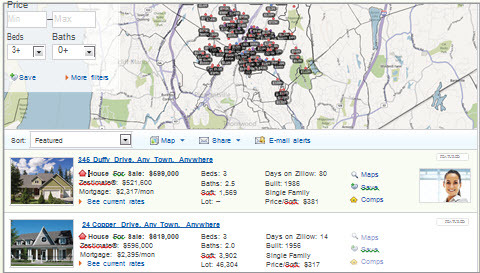 I will also ensure your listing stays fresh on Zillow by keeping it at the top of the search results. Zillow has the most popular home shopping apps on iPhone and Android. Buyers driving through your neighborhood will find your home and connect with me through just a click of a button to make an appointment. 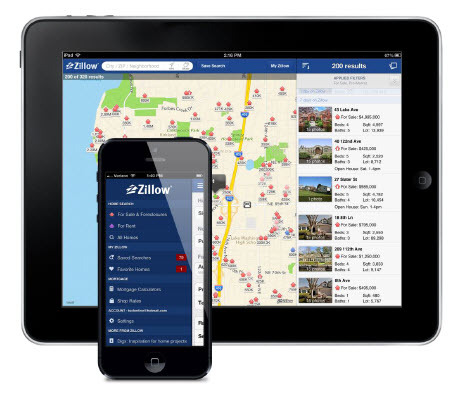 In July 2013, 321 million homes were viewed on the Zillow’s mobile apps – that’s 120 homes per second! 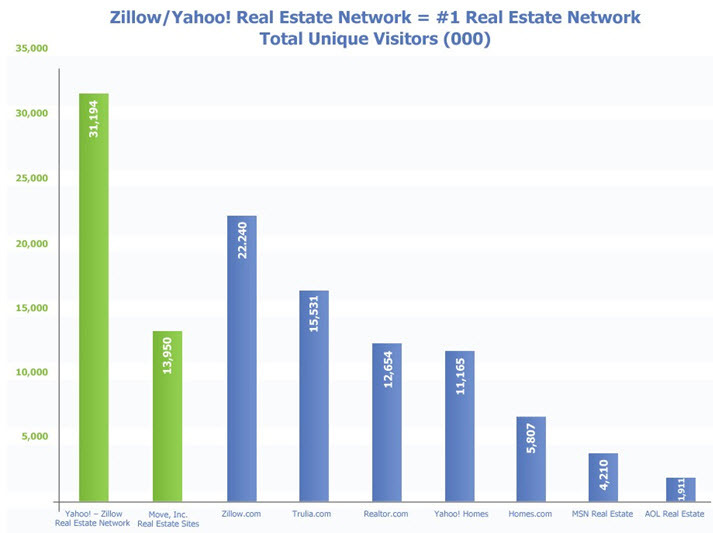 Zillow is the largest real estate network in the US. 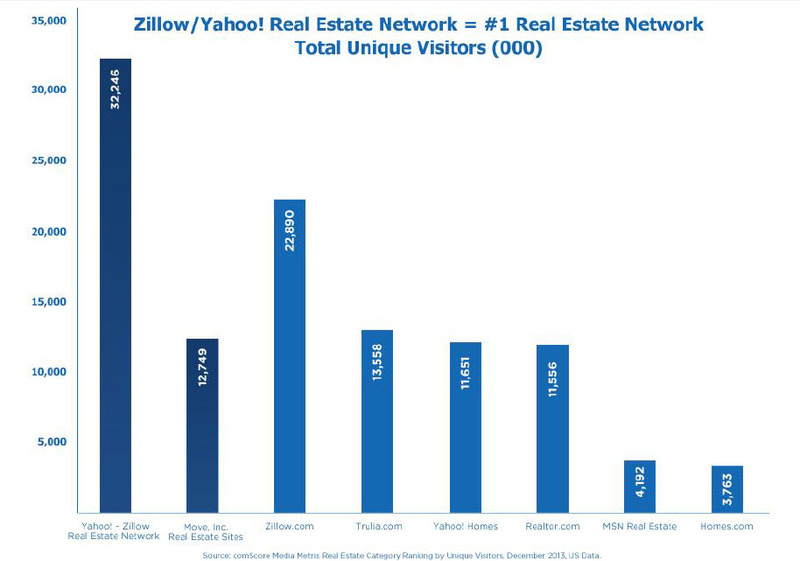 In July 2013 alone, Zillow had 61 million unique users. 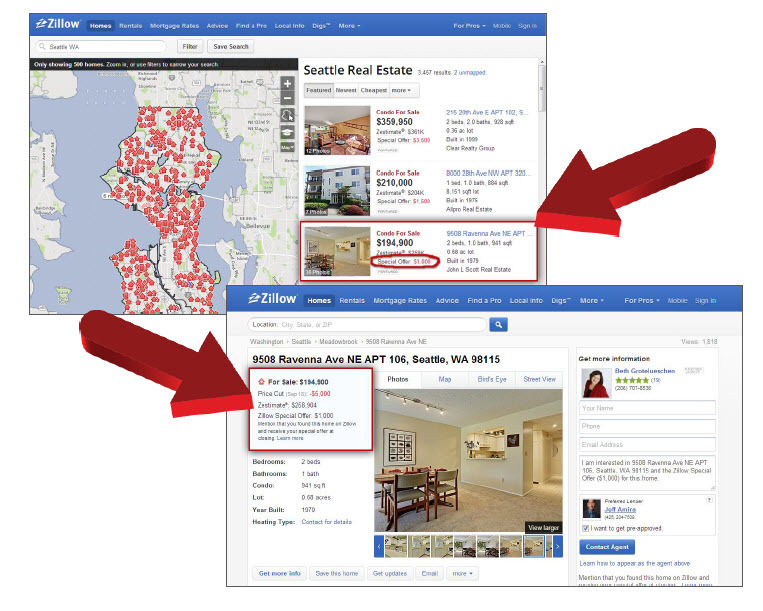 75% of Zillow users are “in the market” and will buy in the next two years. More than 1/3 of Zillow users are approved for a home loan. A Zillow consumers’ average credit score is 722 – “very good” per FICO. Want to attract lots of buyers quickly? 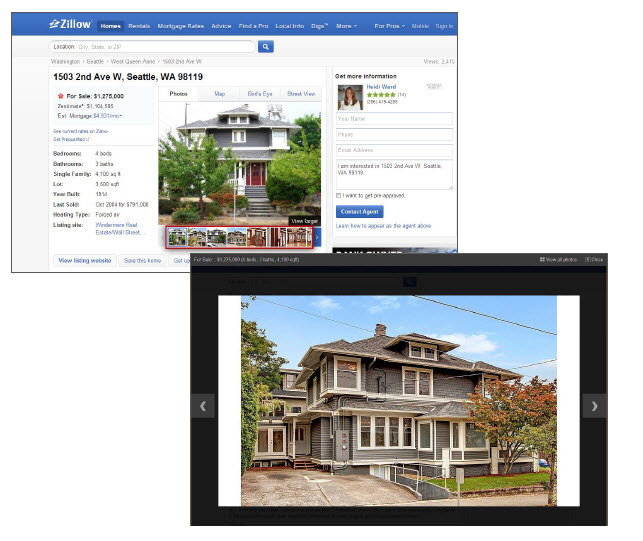 Your home will receive 10 times the views of a regular listing on Zillow. More buyers will see it which increases the likelihood of selling faster. Your home will make an immediate “splash” when it first comes on the market. 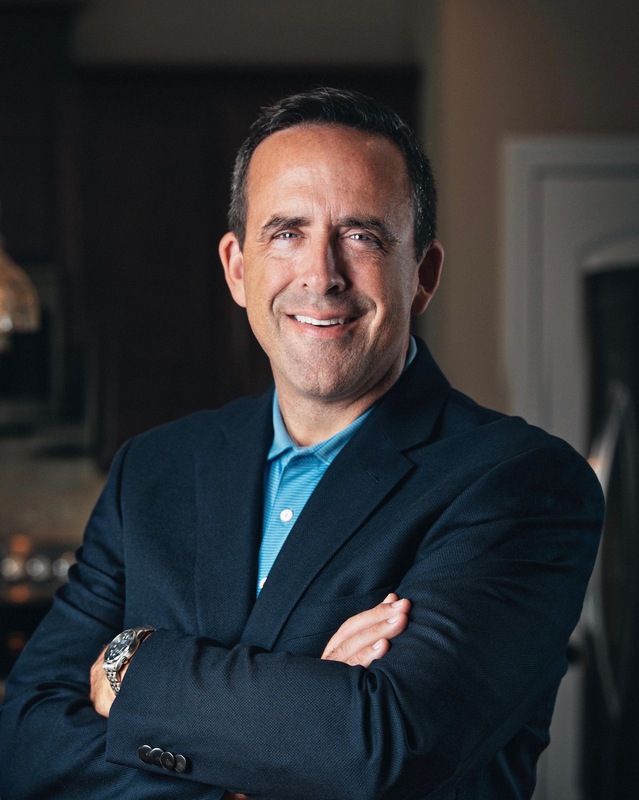 As a Zillow Premier Agent, my sellers benefit from a world class website and a strong pipeline of active buyers. Your listing will be featured on my Premier Agent Website, so you receive additional web exposure to both clients I already work with and prospective clients. As a Premier Agent, I get a large number of buyers seeking my help in finding the right home. This means your listing will be presented to my customer pipeline and your home will gain hands-on exposure to the most interested buyers on Zillow. Sell your home on the largest real estate network on the Web! # of times your home has been viewed, how often it has appeared in search results, and more. Only a Zillow Premier Agent will ensure maximum exposure for your listing. "Hank helped me sell a house in Lawrenceville. I chose him because of his reviews online and he met all my expectations. We had an offer after 4 ... more "
"Hank has been selling homes for a long time, and has seen it all. Having his experience and perspective proved valuable to us at every crucial point ... more "
"We interviewed several real estate agents prior to the sale of our home. After reviewing several, Hank stood out from the rest. He was honest, very ... more "